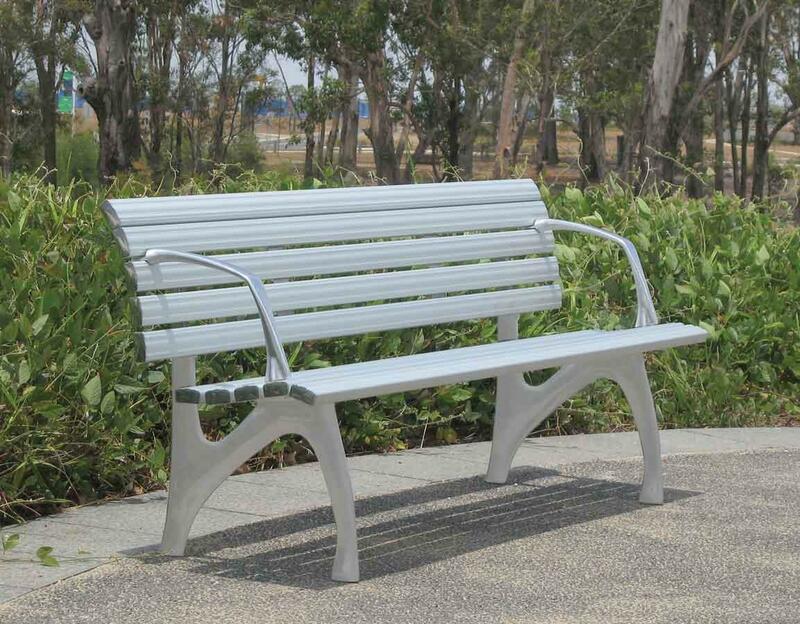 DOSmith Bench Seating Elegantly designed to compliment any surrounding the S190 seat comes with polished frames and beautiful hardwood timber or aluminium slats. The S190 seat is ergonomically designed for strength, durability and comfort. 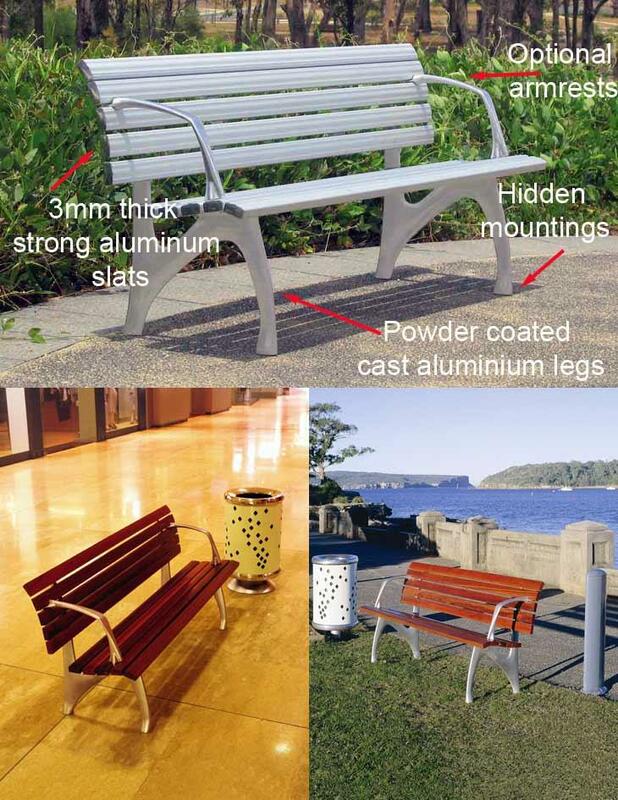 Available as a freestanding or wall mounted version this attractive seat comes with low maintenance, corrosion resistant, elegantly styled cast aluminium frames and armrests. 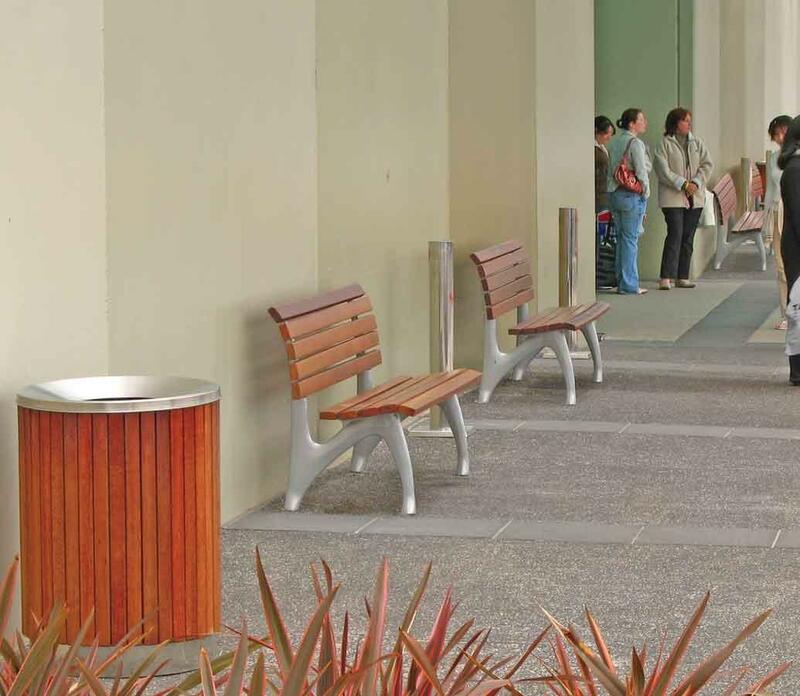 The modern design is aesthetically pleasing and complementary to streetscapes, shopping malls and public spaces. 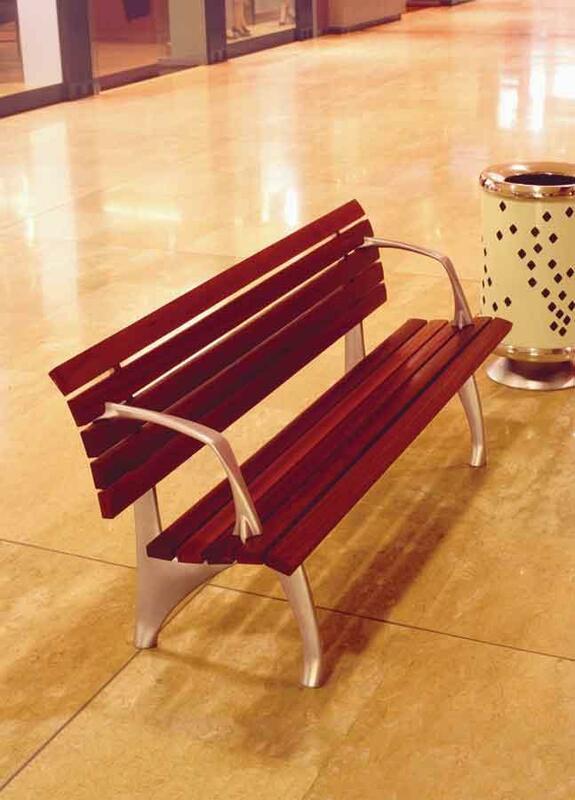 Manufacturing of this seat will commence upon placement of order. 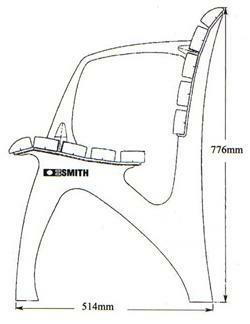 Normal manufacturing lead time for the S190 seat is approximately 4-6 weeks depending upon factory work load. · Powdercoated frames for internal and external use (polished frames are not available for the S190). Citi Pearl Grey powdercoat Finish. · 63 x 30 hardwood timber slats with a jarrah stain. Flat rectangular slats with Pencil Round edges. Note: Frames for both indoor and outdoor use are powdercoated Citi Pearl Grey to protect the frame from the elements (the S190 frames are not available in a polished finish). Additionally the timber slats for outdoor use are coated in a UV resistant exterior grade finish.